We are counting down, counting down the days and minutes to Giving Tuesday. What is Giving Tuesday? Giving Tuesday or #GivingTuesday, is a global day of giving fueled by the power of social media and collaboration. One of the best ways to get involved is in your own community. 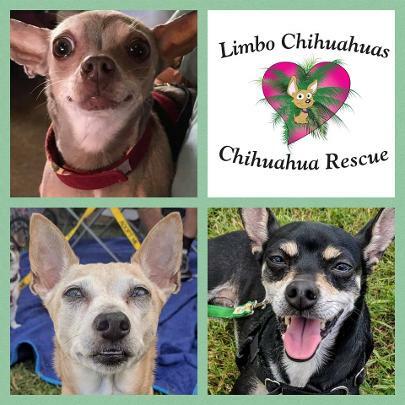 Please consider giving to Limbo today and help us continue to help the pups in the Tampa Bay area. They go to the veterinarian to bring the pup into rescue. Many often need to be spayed, neutered, vaccinated. And that is only the begining. We also have many that need dentals, MRI's, amputation and tumor assessments often with removal. We haven't even addressed the monthly costs and incidentals. Heartworm prevention, flea preventative, food and daily medications for some. We are very fortunate to receive blankets and bedding on a regular basis but our foster homes often provide additional bedding, toys, treats, collars, leashes, crates, carriers and sometimes even strollers to keep our littles up high.